Altus Fan by the Modern Fan Co.
Modern Fan's Altus ceiling fan exhibits attractive organic lines, leading to a sophisticated three-blade fan design. The simple yet effective configuration of gradual forms produces a simple structure that lends itself to any contemporary interior. The beautiful Altus ceiling fan was designed by designer Ron Rezek for The Modern Fan Co. Altus is modern, subtle, yet extremely powerful. Ceiling fan airflow and efficiency are often overlooked, but the amount of air your fan moves each minute impacts the level of performance. The Altus Fan has one of the most powerful motors which efficiently moves over 6422 cubic feet per minute which is plenty for most spaces. 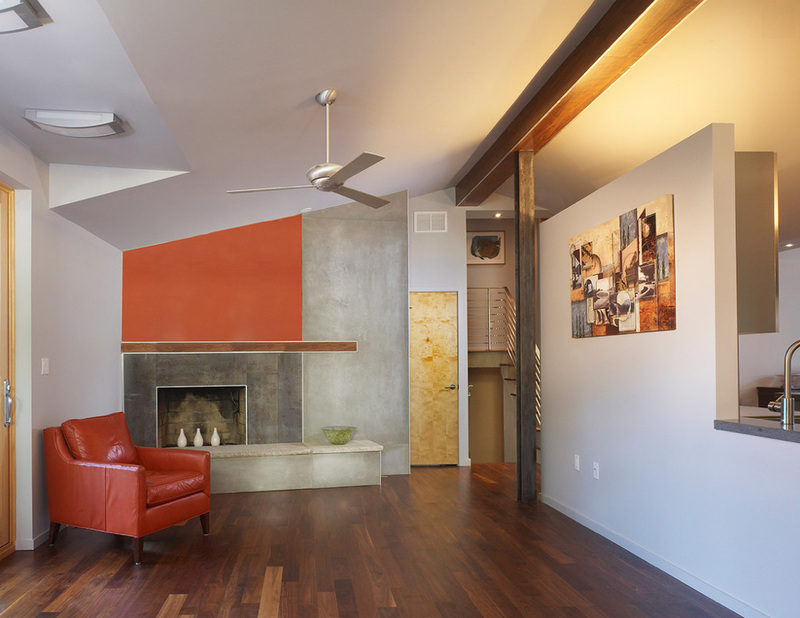 The Altus ceiling fan by The Modern Fan Co. is easy to install, looks beautiful and works like a charm. Plus, it is very silent compared to other fans. Available with two blade finishes (aluminum or white) and with optional light kit. 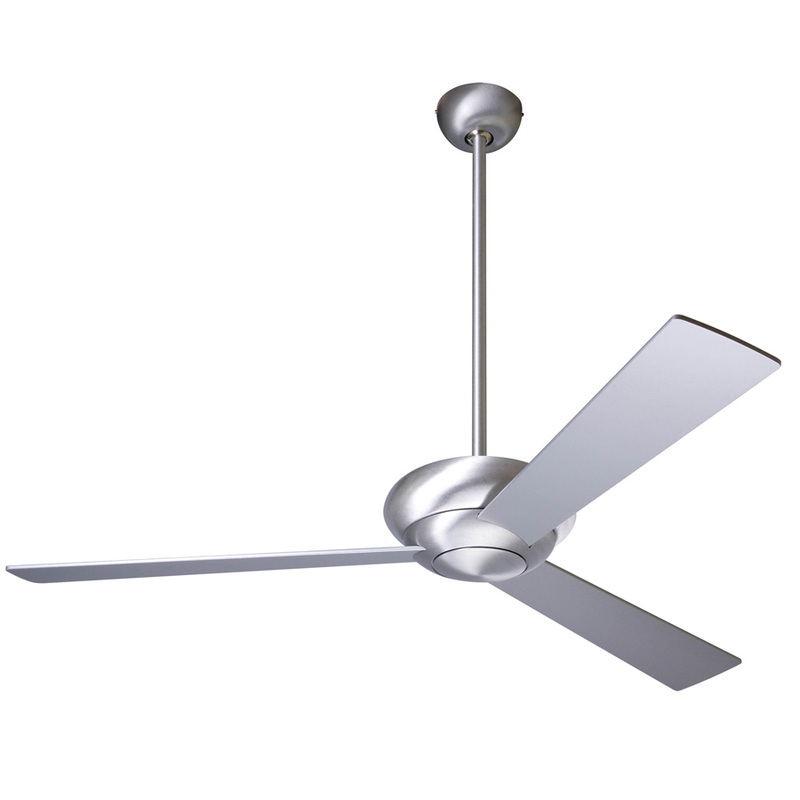 The Altus ceiling fan by the Modern Fan Co is available from Stardust with Free Shipping and a Low Price Guarantee. 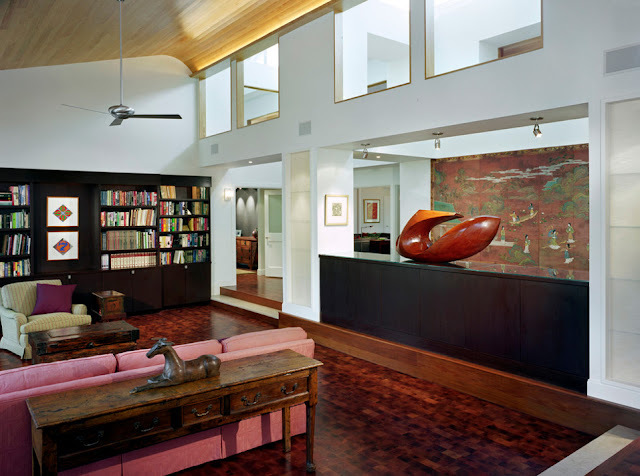 Modern Fan represents a new age in ceiling fans — the marrying of efficient function with contemporary design. Designed by Ron Rezek, the Modern Fan Company's models celebrate the modern idiom through mechanical simplification, geometric forms and contemporary finishes. The unique ceiling fan styles of Modern Fan represent a new age in ceiling fans - the marrying of efficient function with contemporary design (you won't find any wicker or flowery fans here!). How low can the fan go and still meet my local code? Code requires that the fan blades be at least seven feet off the floor. The code looks to the blade height and not the bottom of the fan body. However, for low ceiling installations, we recommend the Modern Fan Co. Cirrus Hugger as it looks more proportional when installed. This is the most popular fan sold in New York City, for instance, due to the high number of low- ceiling apartments there. For low ceilings, we recommend the Cirrus Hugger over the Cirrus Short as it is better balanced visually. What size fan blades should I use? In nearly all cases, the 50-inch to 56-inch blade spans are the most appropriate selections. The 42-inch or 46-inch blade spans should be reserved for smaller rooms or narrow spaces (10-foot-by-10-foot and smaller) or when airflow to the area above the blades is blocked or restricted by architectural elements (beams, walls, cabinetry, etc.). Occasionally, two 42-inch fans may be a desirable alternative to one 52-inch fan. The Altus and Cirrus models are also available with a 36-inch blade span for exceptionally small or narrow spaces. How far down should I drop the fan? We recommend that you drop the fan as far down as your aesthetics will allow in order to create the most air circulation. What kind of light should I expect from the light kits? Will they light an entire room? In general, the light produced by the light kits will not be sufficient for an entire room's illumination with the exception of the Halo fan. The light kits that use MR16 bulbs will not produce much task lighting at all and are more decorative in nature. The light kits which use incandescent bulbs will illuminate the area directly below and around the fan. 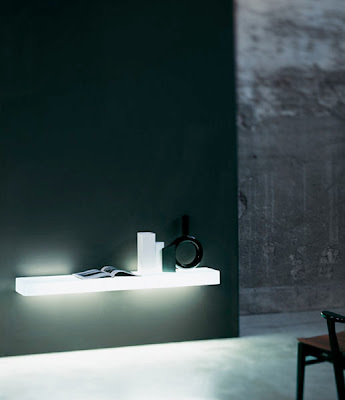 The Halo has great lumen output and can easily light up an entire room since this body is very large and the glass is a great light diffuser. However, we do not recommend this fan in small rooms as the size of the fan tends to be visually overpowering. 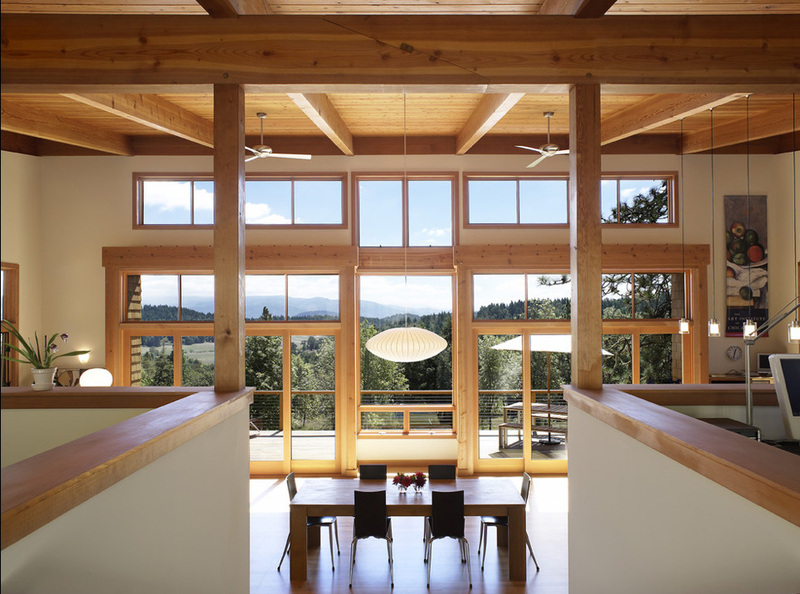 Can I use ceiling fans outdoors? 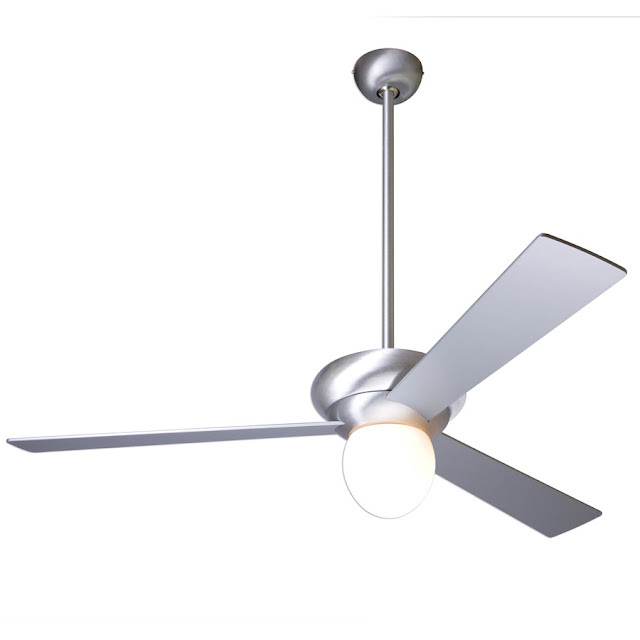 All Modern Fan models are rated and marked as "Suitable for Damp Location." While you can expect years of trouble-free performance from these fans when installed in humid or coastal environments, the degree to which the appearance of a fan may be impacted by the environment will vary widely. 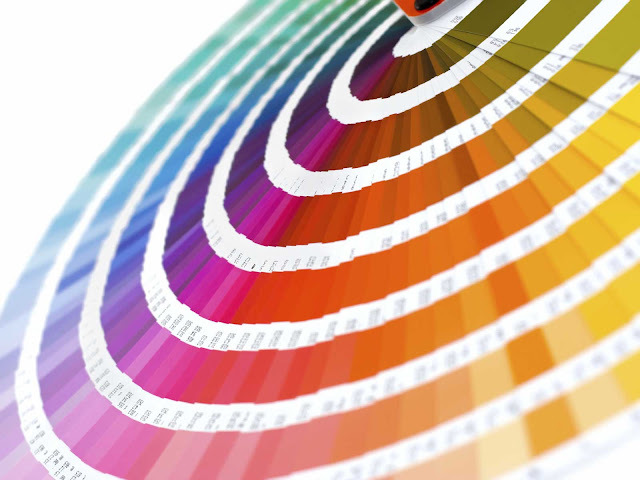 A fan's specific finishing process as well as the intensity and nature of exposure that it will encounter in a given application will directly affect the longevity of its finish and appearance. A damp rating does not address specific finish durability, nor does it assure that corrosion will not occur in exposed locations. We encourage you to closely consider these factors when selecting fans for use in damp locations. A diligent maintenance program, initiated immediately after product installation at a frequency necessary to avoid salt deposits on the fan surface(s) for prolonged periods of time, is the best defense against corrosion and oxidation. 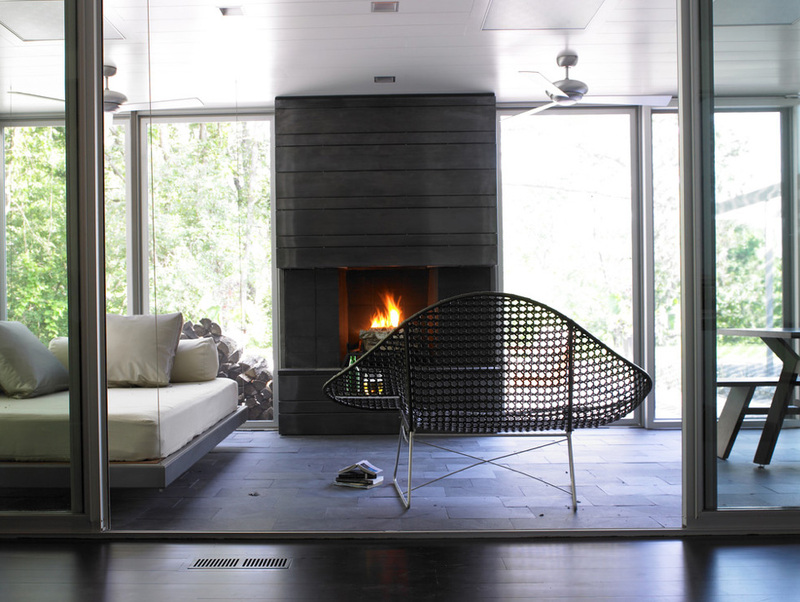 The brushed aluminum and galvanized finishes will typically outlast all others in our collection. These surfaces will not rust or peel, however, they will weather as a result of oxidation and exposure to salt or other corrosive conditions. The bright nickel and matte nickel finishes are also well-suited for exposure to reasonable conditions, but may show signs of weathering more quickly and visibly. The coated finishes (gloss white, titanium, textured nickel, gloss nickel) may be subject to peeling over time when exposed to sun, salt and/or other environmental conditions. An additional consideration is blade construction. Over time, plywood is subject to warping and/or delamination. While fan blades are easily replaceable when necessary, our injection molded plastic blades supplied with the Velo, Velo Hugger and Pensi fans will generally outlast the plywood blades supplied with all other models in our catalog. Modern Fans are not rated, nor intended for use in applications classified as Wet Location. Can I use the fan on a sloped ceiling? We offer sloped ceiling canopies for all Modern Fan Co. fans. 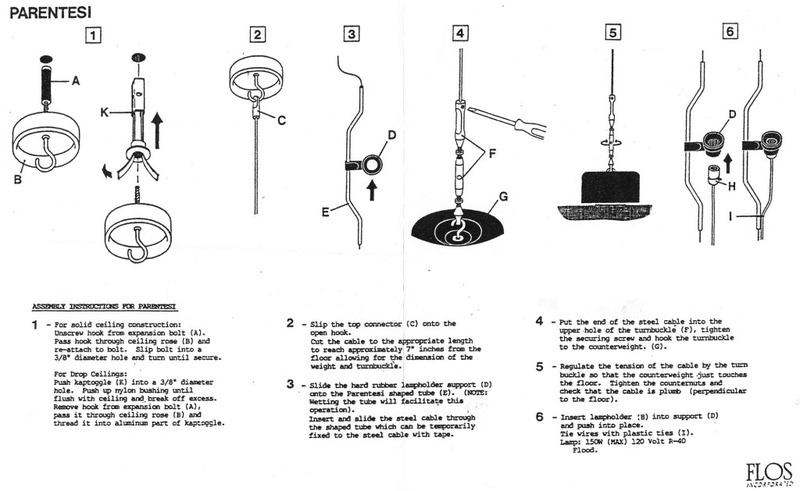 However, with respect to the Stratos, the sloped ceiling installation is more difficult and should be performed by a licensed electrician using the factory installed (at purchase) sloped ceiling adaptor. Which lighting control should I use? MF001: This is the basic three-speed control used to change speed on a fan without a light. It mounts on a wall switch box and includes a Decora-style wall plate. MF002: This is the basic three-speed control (MF001) but with the ability to control a light (three levels of light intensity). This control requires two circuits from the wall box to the ceiling junction box (one circuit for the fan motor and one circuit for the fan light). MF004 (MF011 for Ball/Whirlybird): If you do not have two circuits leading to your fan installation, then use this control. It uses the two wires that come from the junction box to the wall box to control the fan motor and it uses a radio transmitter (similar to a garage opener) to control the light on the fan. MF009: This is the same as the MF001 but is designed to control three-to-five fans simultaneously. MF003 (MF010 for Ball/Whirlybird): This is a handheld remote control unit that allows you to control both the fan and the light. The remote control has a LCD screen which shows the current setting. With the five buttons you can select one of the three fans speeds, stop, or light intensity. A signal receiving unit is placed into the fan canopy. A wall hanger is included with the remote. Why is my fan sometimes on when I come home? If your fan is mysteriously on when you come home from work, you are using one of the radio controllers. There are dip switches up in the fan body that change the frequency that the controller uses. Switch the frequency and your problem should go away. Why does my fan wobble? Fan wobble is an inherent problem with fans due to minute variation in the fan blade weight distribution. Modern Fan Company's fan blades are specified to be within one gram weight difference to avoid wobble. However, some wobble tends to be inevitable due to variance in installation location, airflow and other minutiae. Included in every fan is a small tool to help balance the fan and thereby reduce wobble: Attach the device to the end of each fan blade and turn the fan on. After trying this tool on each blade, identify the blade which, when the tool is attached, produces the least wobble. Then, move the tool from the outside of that blade towards the center in half-inch increments until you find the "sweet spot" (the location that produces the least wobble). In most cases, this will solve your problem. Modern Fan Company does not consider wobble to be a defect, and accordingly will not repair or replace installed fans due to wobble. Stardust accepts returns on fans but only if the fan has not been installed. So if a little wobble disturbs you, we discourage you from investing in a fan of any kind.